Your security and décor are important, whether you need locks for doors, windows, cabinets, or antique furniture. At Keycut Services we offer you free advice based on your requirements. We can supply and install quality locks for just about every application. Residential, Commercial or Industrial key-locking systems. 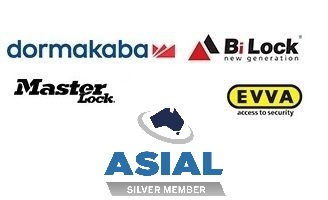 Master-Key Lock systems tailored to suit your needs. Key Control systems which ensure no unauthorised key duplication. Latest design Locks for ultra-modern building architecture. Traditional design Locks for Heritage building renovation applications. Motorcycle, Car, Truck, Boat, Tractor or any Heavy Vehicle Machinery Locks. Home: How many keys have you got for your home? Too many? We can reduce the number and make it more convenient and efficient for you. You may be able to have only one key that opens and closes all the locks on your house. We can restore and repair those old “RELIC” locks to keep that authentic look. Are you looking to have locks on your home with keyless entry? Keycut Services can supply and install mechanical and electric locks that do not require keys. Contact us for you free survey/quotation to simplify and enhance your security. Business: Can your employees get a key cut for your business without your knowledge or authority? Are there areas of your business you don’t want certain staff to have access to, without your knowledge? Yes? Keycut Services can provide your business with effective efficient locks and key systems that give you total control over the legal access to your business areas. Are you sick and tired of carrying and losing keys for business? Keycut Services can supply and install the latest in mechanical and electronic access control mechanisms where no keys are required. Contact us for your free survey/quote to protect your business’s security. Motor Vehicle: Do you need to repair or replace locks and/or keys for your motor vehicle? Keycut Services can repair and/or supply and install new automotive locks to just about every make and model available, from the vintage to the ultra-modern vehicle. See us now for expert advice on the repair, supply or installation of the best locks to suit your needs.